No more thread, no more needle, no more glue! When designing the Cera UltraSonic, our goal was to createa machine with the highest precision and performance in terms of continuous ultrasonic welding. 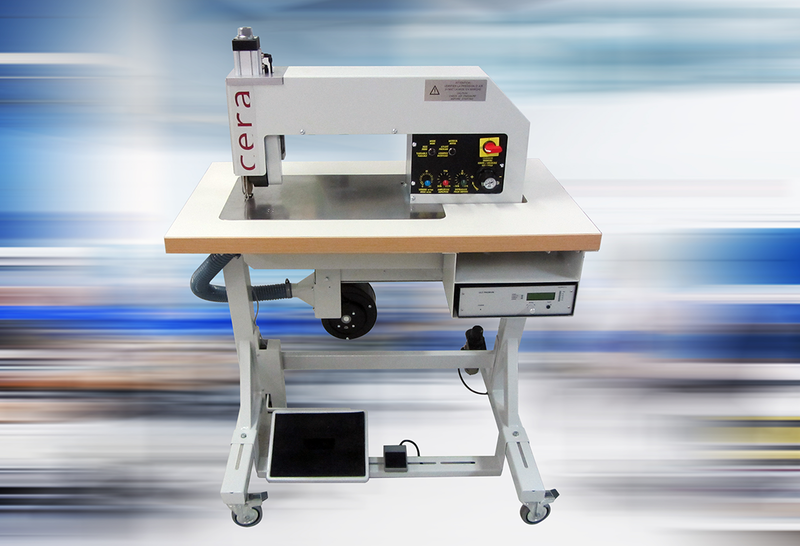 The Cera UltraSonic ultrasonic rotary process allows to perfectly slide all types of fabric in order to get multiple patterns, cut and weld assembly and regular welding of 8 mm width, through a continuous process. Thanks to its large range of welding and cut-and-weld operations tools, the Cera UltraSonic gets even closer to your project requirements while being price-competitive and very simple touse. Dare our Cera UltraSonic and you’ll benefit from a 20 years proven rotary technology and from our worldwide expertise in designing production machines.